All homes currently listed for sale in the zip code 85028 as of 04/20/2019 are shown below. You can change the search criteria at any time by pressing the 'Change Search' button below. "Talk about a WOW FACTOR!! Each turn this custom-built home never ceases to amaze. As you approach the home you are taken aback by the curb appeal. HUGE curved driveway, fully paved, with 4 single-entry garage spaces line the side of the home for convenience & style. Courtesy of the Phoenix Mountain Preserve, there is no shortage of breath taking mountain views. No expense was spared in the design of this home. 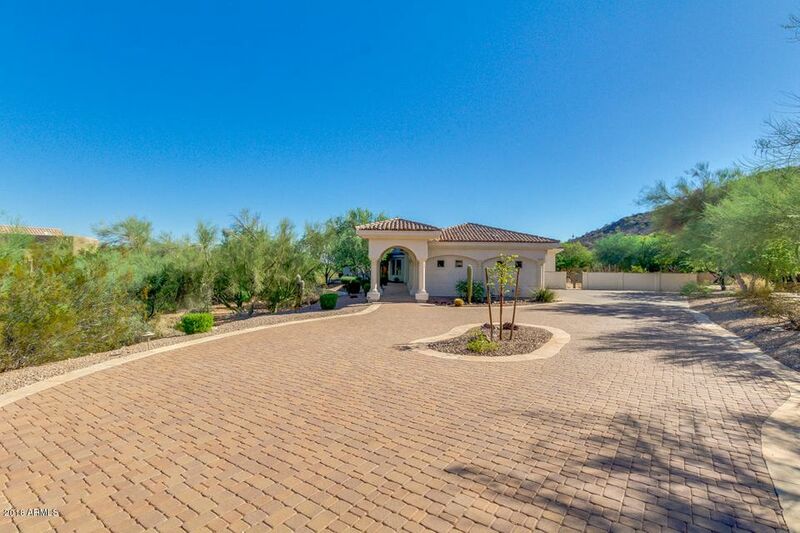 Premium grade materials were used for building to ensure the home was not only beaut"
"Rare in-town fully remodeled custom home on 2.25 professionally landscaped acres in a beautiful location SW of Tatum and Shea steps from the Phx Mtn Preserve! Stunning Master plus 4 en-suite bedrooms; gourmet kitchen/familyroom/ brkfast great-room with 2 islands & Wolf appliances; custom cabinetry, doors, woodwork and granite counters throughout; huge living/dining/wine & wet bar; 3 gas fireplaces; 3 car garage; and 360 views. 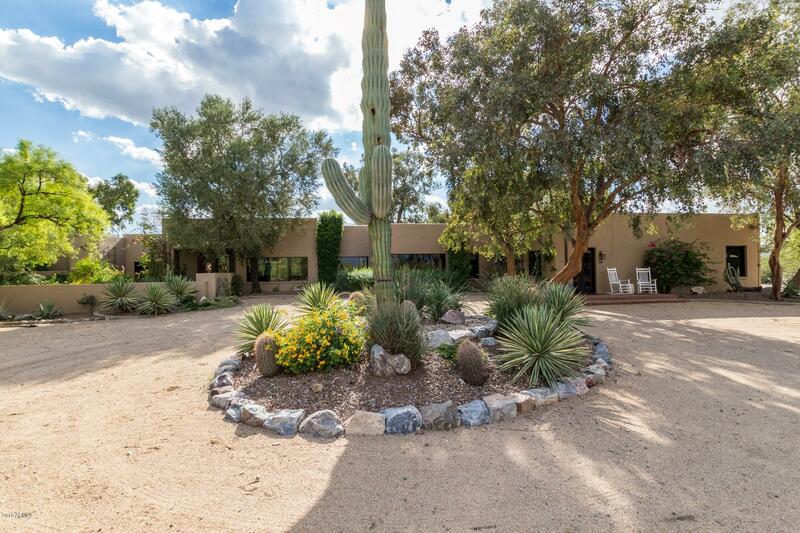 Resort backyard w/pool, bathroom/shower, 2 fire-pits, BBQ & tranquil "
"This 4800 square foot modern ''dream home'' sits on 1.2 acres of beautifully landscaped desert gardens. 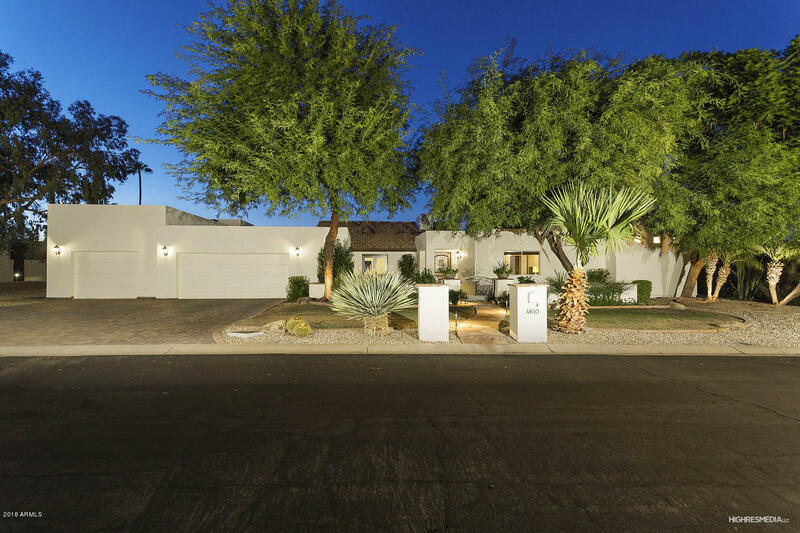 The secluded private property is just minutes from the phoenix mountain preserve, access to the 51, Tatum and Shea restaurants and shopping , and the the best school district in the state. . The home was designed and built by The Construction Zone for its owner and founder Andy Byrnes. 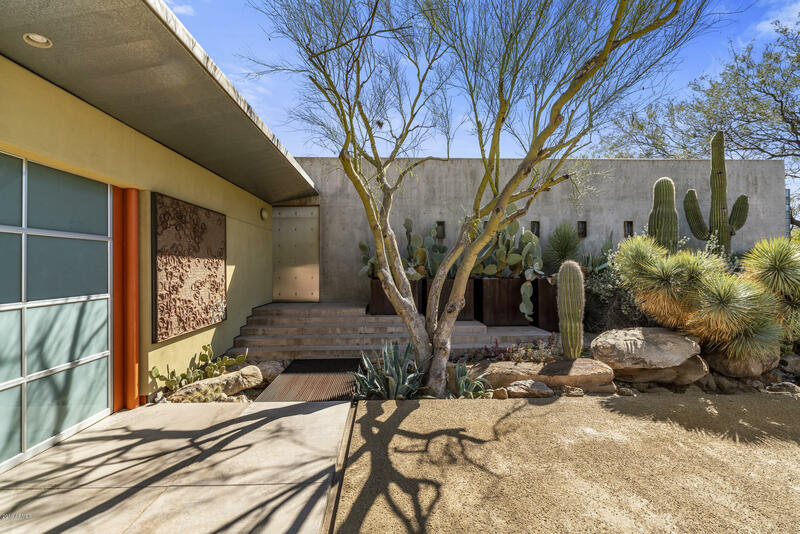 The main house is hand made of cast in-place concrete, exposed masonry, glass and steel opens to a warm in"
"Phoenix Mountain Preserve home w/ miles of hiking and biking trails. Walls of glass look over a perfected desert environment designed by former director of the Phoenix Botanical Garden. Acre lot and acreage in front and back of home that cannot be built on private cul de sac. Main house main rooms just remodeled and features new $250k kitchen by renown PV builder Cal Christiansen with Wolf & Subzero appliances, quartz, marble and onyx counters, wine storage and butler's pantry. Warm and inviting"
"Dramatic ceilings, Classic Stellar 2004 build, open floor plan with views to the mountain preserve. Horse haven; 3 large turn out pens, mature trees provide shade, a 4-stall barn with hay storage, fly spray sytem, wash rack and tack room shed. Arena w/proper footing or ride directly to the preserve for miles of trails. All new AC units (2014), all new kitchen appliances, lighting and hardware, new spa and pool, with wave resistance. Paver-stone patio decking with built-in gas barbecue and gas "
"Voted *BEST OF TOUR * Classic ''Hacienda-Style'' Southwest/Santa Fe home embodies our Arizona lifestyle. Stunning views from every vantage - inside & out. Walk to the Mountain Preserve. Charm inside & out, from the voluminous ceiling height & over-sized windows; to wood vigas, solid core doors, iron embellishments, multiple fireplaces & reclaimed chestnut floors. Each bedroom offers a private bath & patio. The Master Retreat is secluded with custom walk-in closet, coffee/wine bar, office & every"
"Luxury hillside living with 360 degree views! 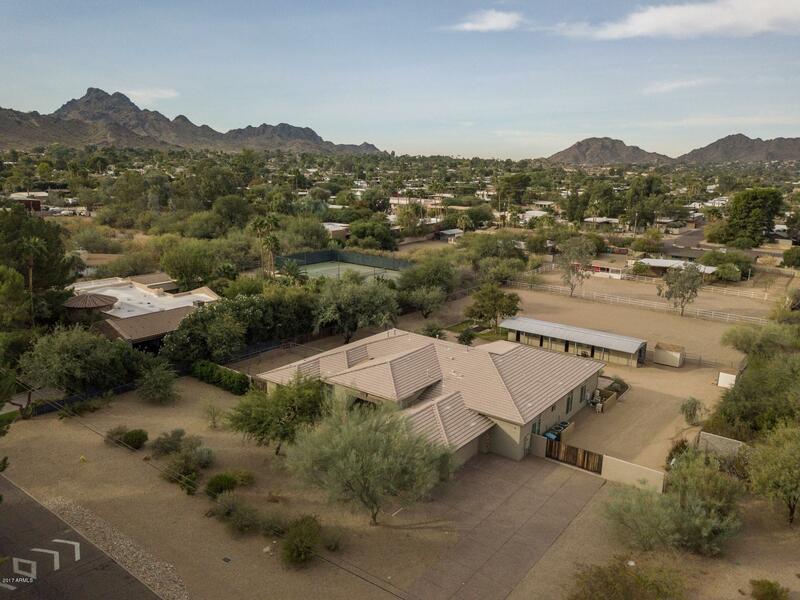 Kitchen Views from the McDowell Mountains all the way to Four Peaks, twinkling lights to the north while you lounge on your patio at night, a spacious back yard surrounded by the vista of the Mountain Preserve with lots of grassy area to play and a bonus sport court as well. Inside the home features 4 bedrooms, a split master suite with steam shower and his & her closets, office, large gourmet kitchen and an expansive vaulted great room just perfect "
"Welcome to Luxury! Highly desirable location in 85028 within walking distance to the mountain preserve, close to shopping, freeways, airport, and so much more. 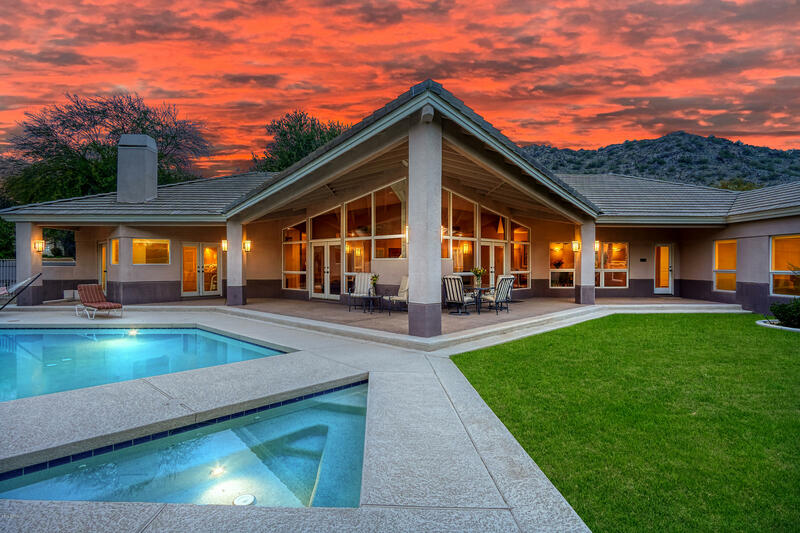 With its expansive elegance, and incredible views of the Phoenix Mtn Preserve. This well-appointed, custom home with recently painted exterior, sits on a neatly manicured, 1 acre, cul-de-sac lot, with a circular paver drive. 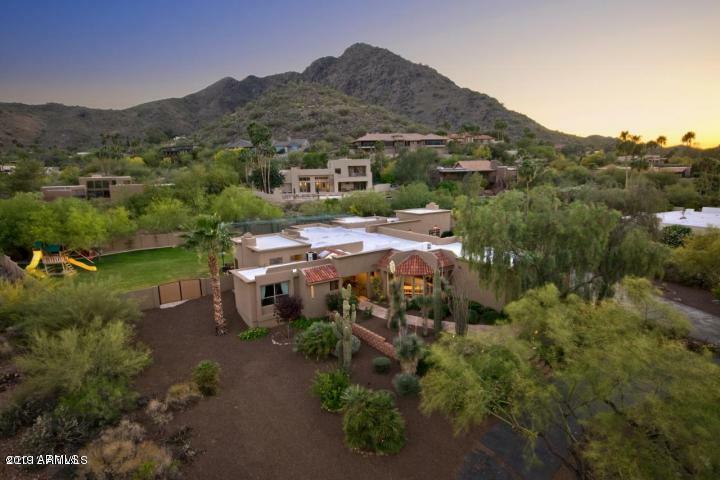 This home is unique in that it was constructed with the Classic Stellar Home Energy Design where energy efficienc"
"Architect's personal residence in secluded gated 16 lot subdivision surrounded by the Phoenix Mountain Preserve with easy freeway access. The residence includes 4 bedrooms (Double Master) 4.5 baths, a Recreation Room, Exercise Room, Formal Living and Dining Rooms, Family room, Wet Bar, Library, 3 car garage, observation deck, and 5 fireplaces. 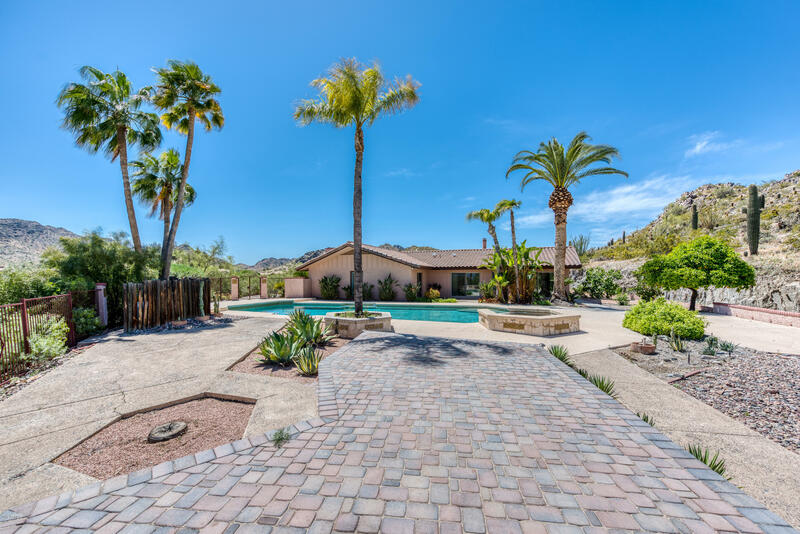 The property is just under one half of an acre, with natural landscaping green belts in the rear of the property and the Phoenix Mountain Preserve in the "
"Stunning home with incomparable views in highly sought after Rancho Alta Vida. If views are important to you, this is a must see home! Talk about unobstructed mountain views out front & back! There is desert common area to the front and back-aprox. 8 acres to the back & 6 acres to the front! Situated in a cul-de-sac with only three homes. This home offers lots of privacy yet also offers a community feel. 5 Bdrms 3 large baths. Lg master bedroom with a beautiful bathroom, lg oversized travertine "
"Reduced! Way Below Recent Appraisal!!! 1.2 Acre Lot surrounded by Mountain Views. 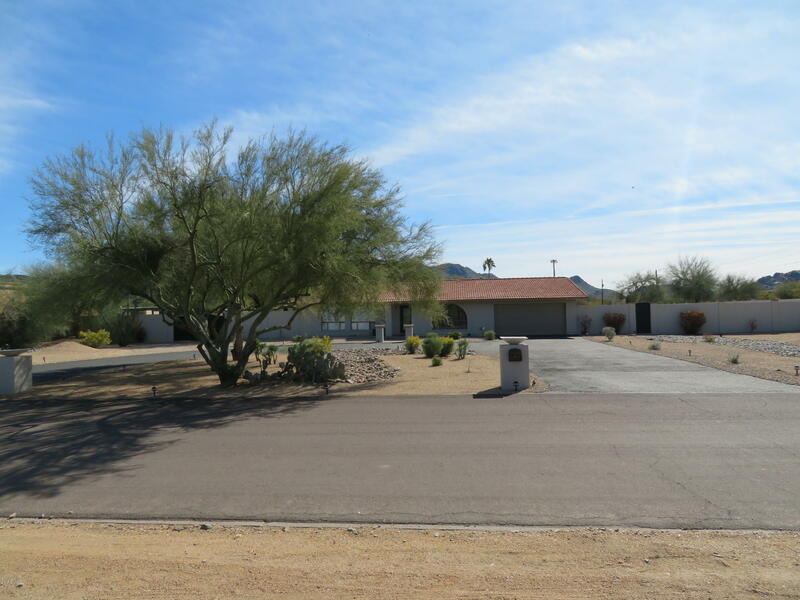 Gorgeous Landscaping, Circular Paved Driveway, close to Phoenix Mountain Preserve trails, Shopping, Dining, Schools, and The 51. The Backyard is Spectacular, with Covered Patio, Sparkling Salt Water Pool and Waterfall, Full Outdoor Kitchen, Huge Backyard with Horse Stables, Riding Arena, and plenty of space. Inside the home, you will see Large Great Room, with Gorgeous Wood Beams, Fireplace, leading up to the Gourm"
"Modern Hillside Living designed by Architect Ned Sawyer. 1.4 acre desert hillside site offers AMAZING views! Vaulted ceilings, loft-style Master, open plan makes for dramatic interiors. Wood and concrete floors, fresh paint in and out: decorator lighting, updated baths. Split plan w/ oversized master bath, LARGE W/I closet. Adjacent work/study/office. Updated kitchen includes full suite of features. View patio w/built-in BBQ. Garage has a/c'd space for shop/storage. 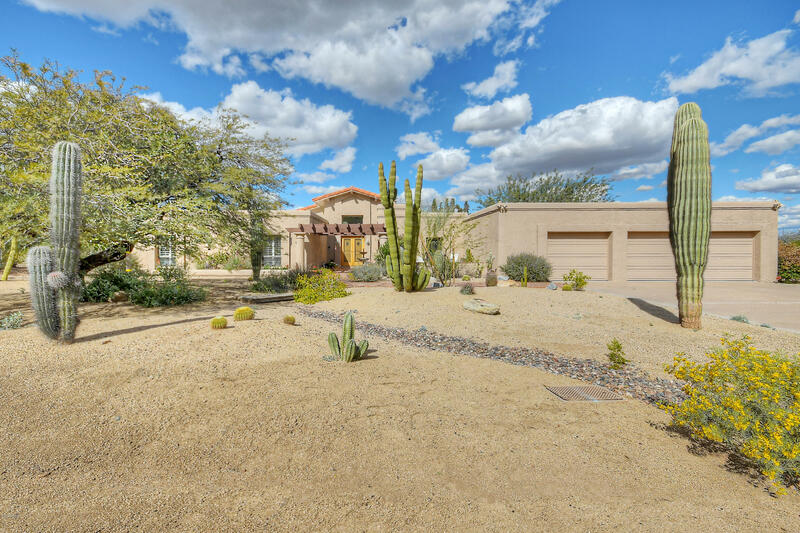 Outside you'll marvel at th"
"Come see this timeless, 5-bedroom, 2 1/2 bath, single-family home situated on 2.61 acres of beautiful natural desert located in a well sought-after North Phoenix neighborhood. 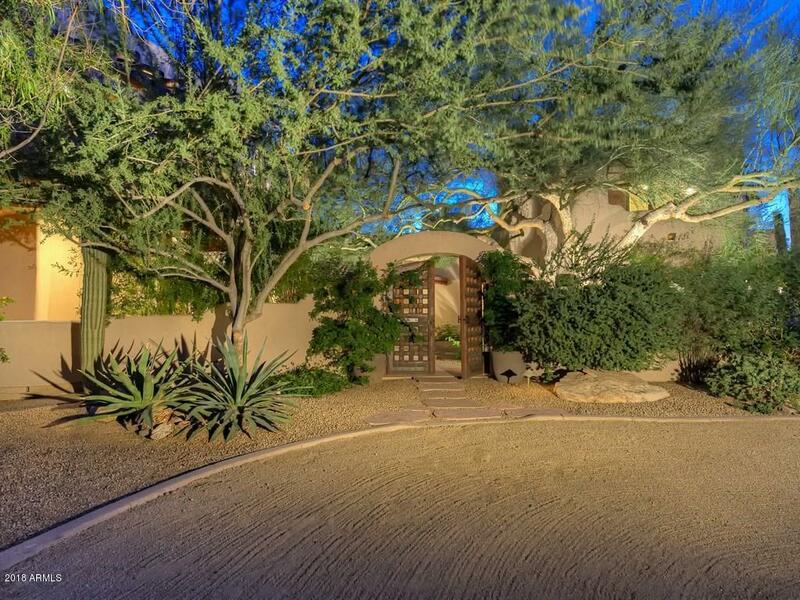 This home offers a large master suite with walk-in closet & private bath with atrium. The spacious eat-in kitchen has a large center island, breakfast bar and a walk-in pantry. The family room has a fireplace and plenty of natural light. The dining room easily accommodates a large over-sized table. Multiple french doors of"
"Price Adjustment!!! Traditional, custom architecture, graciously evocative of Encanto and Arcadia traditions. Slightly elevated corner lot with mountain views & city lights. 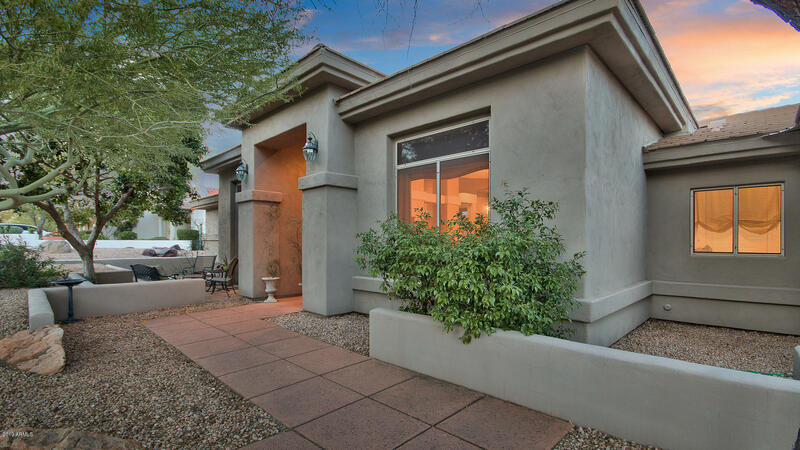 Easy access to downtown Phoenix, hiking trails & 10 minutes from Phoenix Basis School. Master Bedroom Suite with large walk-in cedar-lined closets opens to private patio & pool. Four additional Guest Bedrooms w/four Baths en-suite & walk-in closets. 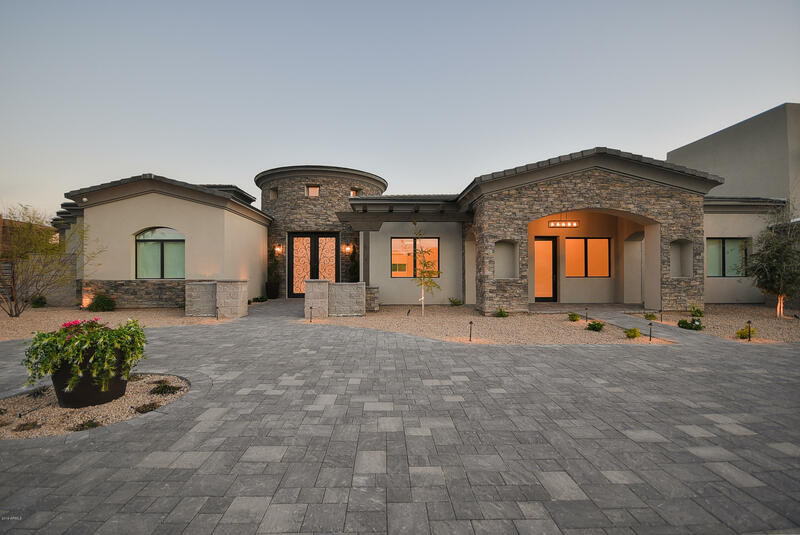 High quality construction, including concrete and metal roof, 10' foot ceil"
"Surrounded by picturesque mountain views, this luxury estate is nestled in gated Tatum Foothills and situated against the Phoenix Mountain Preserve. The masterpiece backyard exudes unrivaled privacy and redefines outdoor entertaining, offering abundant covered patio space and entertaining areas. Friends and family will love enjoying the sparkling pool with mountain views, cozy barbecue area, and rejuvenating spa. Inside, the well-appointed floor plan offers bright, open living areas and a split "
"Great investment opportunity. Priced below appraisal. 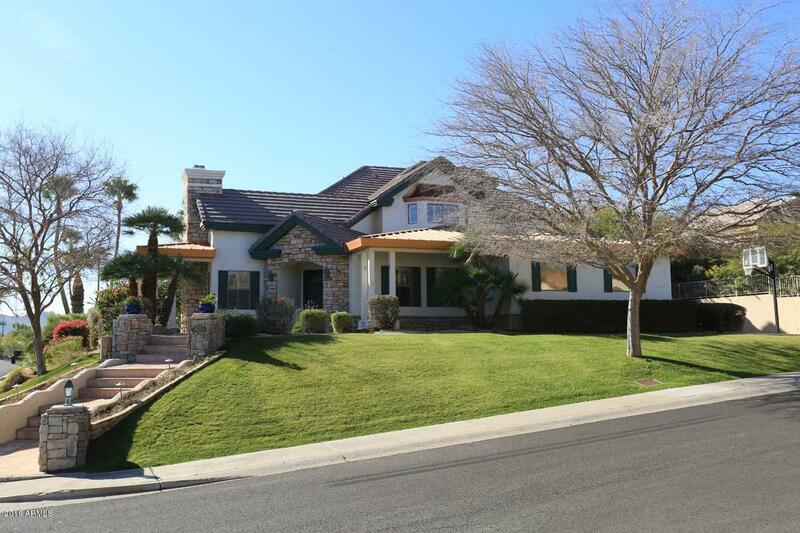 Spacious home situated on just over half an acre on a corner cul-de-sac of privately gated Tatum Foothills. Features formal living/great room, dining room and office along with spilt master. Chef's kitchen boasts gas cook top and large center island ideal for entertaining. Retreat to the resort style backyard with built in kitchen, pristine pool, fire pit and putting green. Located in the 3 C's school district." 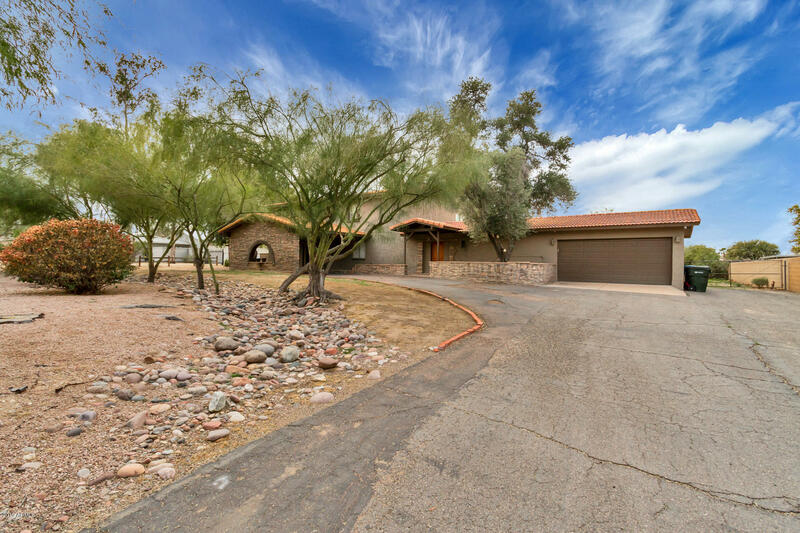 "Beautiful Hillside/Mountain View Home in secluded gated 16 lot subdivision surrounded by Phoenix Mountain Preserve with easy freeway access. Home includes 4 bedrooms (Double Masters) (3) Full Baths & (2) Half Baths, a Recreation Room, Formal Living and Dining Rooms, Family room, Wet Bar, Den/Office, 3-car garage, a fireplace. 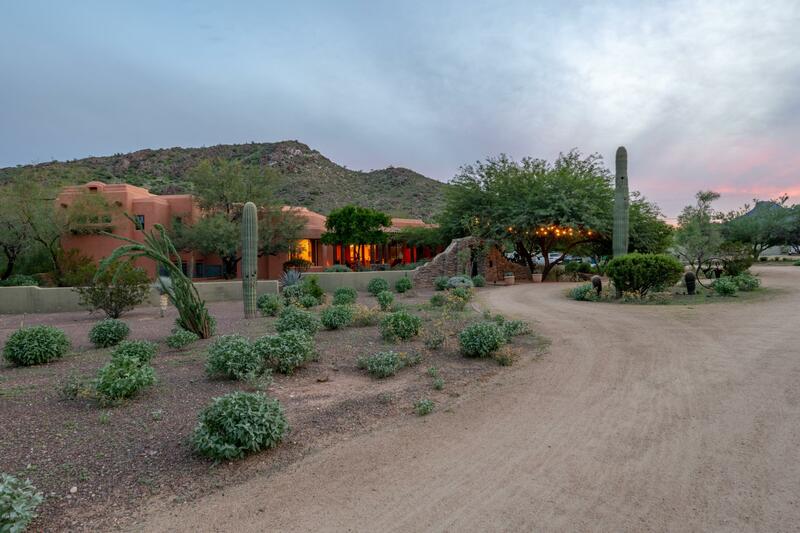 The property is just under one full acre, with natural and desert landscaping backing to a wash and amazing mountain view! Private subdivision access to City-maintained hik"
"Rare opportunity to live in your own private desert oasis yet minutes from downtown. 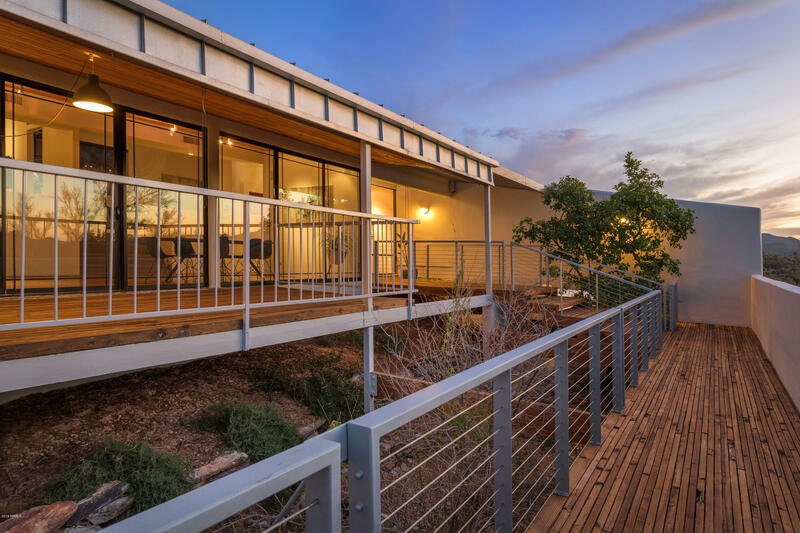 This lovely home sits on an elevated acre + lot nestled within & bordered by the Phoenix Mountain Preserve. Enjoy spectacular panoramic views every which way you turn from all rooms inside the home and multiple sitting areas outside. 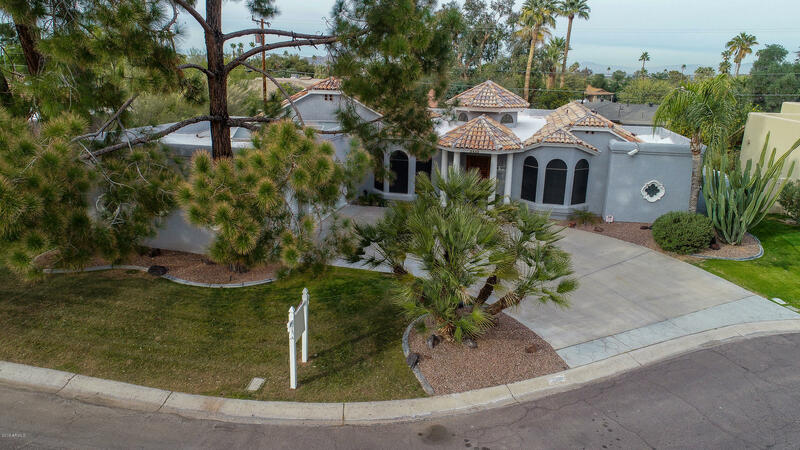 This custom built home has been meticulously maintained by the original owner. Fantastic floorplan lends itself to entertaining/family gatherings. Gorgeous floor-to-ceiling stone fi"
"WOW! OVER AN ACRE OF BEAUTIFUL DESERT LOOKING OUT AT THE PHOENIX MOUNTAIN PRESERVE. WHAT A TREASURE THIS HOME IS. IT MAY NEED A BIT OF UPDATING (FLOORING) BUT THE REST IS REALLY AWESOME. BEAUTIFUL KITCHEN. FAMILY ROOM WITH GAS FIREPLACE! HUGE MASTER BEDROOM WITH SITTING AREA AND GAS FIREPLACE PLUS 3 MORE LARGE BEDROOMS. 2.5 BATHROOMS. ALMOST ALL THE WINDOWS ARE PELLA DUAL PANE! SHUTTERS GALORE. OPEN LIGHT BRIGHT WITH VIEWS EVERYWHERE! BEAUTIFUL BIG BACK YARD WITH POOL AND SPA. GREAT PATIO FOR SI"
"New Price! Welcome to this Fantastic Home! This is a beautifully remodeled home with tons of upgrades located in a very desirable area of Phoenix/Paradise Valley with great schools. The home features 4/5 bedrooms and 3.5 bathrooms. Brand New Lenox A/C. New kitchen, new cabinets, new appliances, granite counter-tops, new bathrooms, new flooring, Cat-5 and coax cable throughout, office off the Master and much more.The walk-in closet off the Master can be converted back to a bedroom if desired. 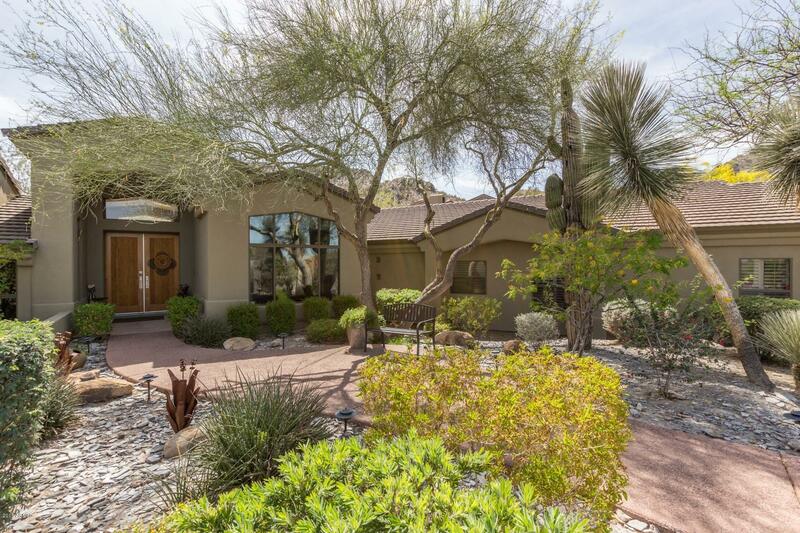 Hug"
"Spectacular home in The Preserve with stunning sunrise and sunset vistas of the Phoenix Mountain Preserve with immediate trail access. Home lives well with eat-in kitchen connected to family room as well as separate formal living and dining areas. Spacious master suite with sunrise vistas. Secondary bedrooms are on the opposite side of the home with two bedrooms upstairs and optional 4th bedroom or au pair suite. Home features 4 bedrooms and 3.5 baths in approx. 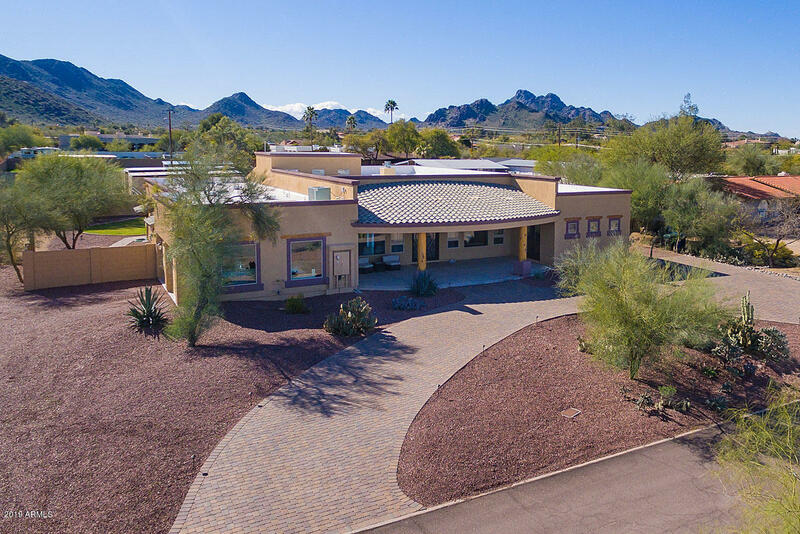 3,632 square feet of living s"
"Welcome to this amazing North Phoenix neighborhood surrounded by pristine natural desert and majestic mountains views! Location, Exclusive, Private, Luxurious and beautiful Views with this gorgeous home. Recently remodeled from top to bottom that looks brand new with many unique upgrades and attention to details, with a fantastic open concept layout just perfect for entertaining and abundance of natural light with views at every turn. Modern porcelain tile wood floors throughout the home that c"
"Spectacular Phoenix Mountain Preserve private community. One of a Kind Custom Built..Amazing location right next to Preserve. Complete Remodel with all of the latest upgrades..Brand New Kitchen Cabinets, Granite Counter tops and Appliances. Brand New Bathrooms.. 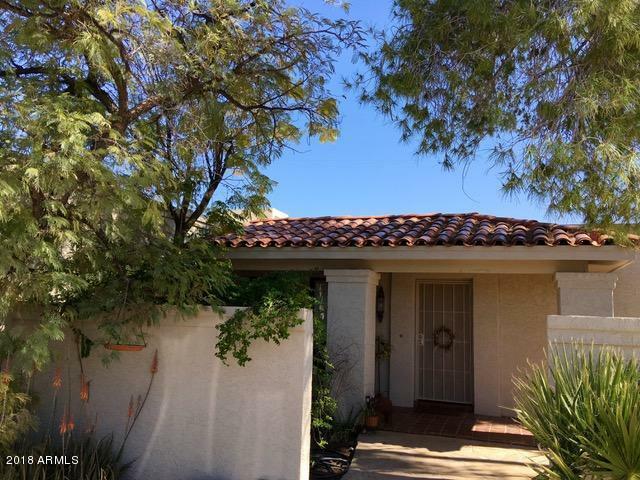 Newer Tile Roof with 10 Year Warranty..New Wood Floors..New Interior Doors..3 Car Garage and RV Gate and Parking..priced below current Appraisal ..see attached Documents for the rest...Pride of Ownership..easy to show.."